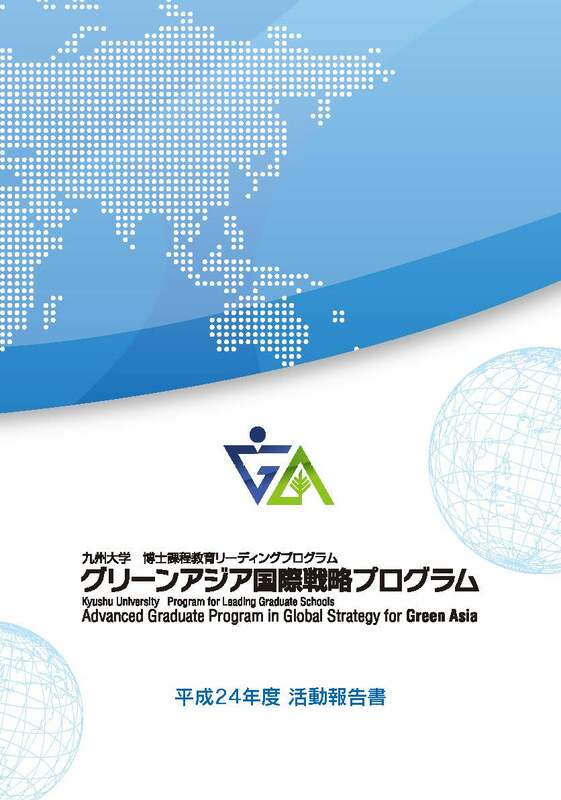 Kyushu University Advanced Graduate Program in Global Strategy for Green Asia Pamphlet is a pamphlet published by Green Asia Education Center, Kyushu University. 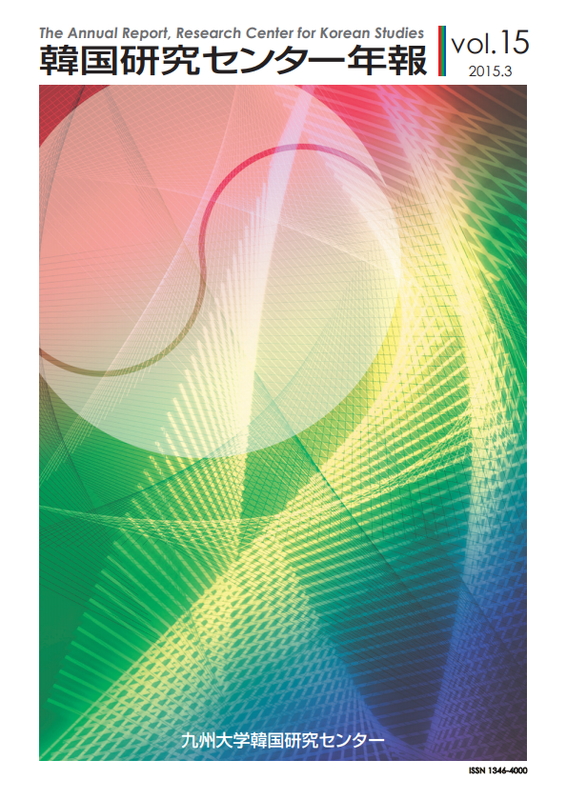 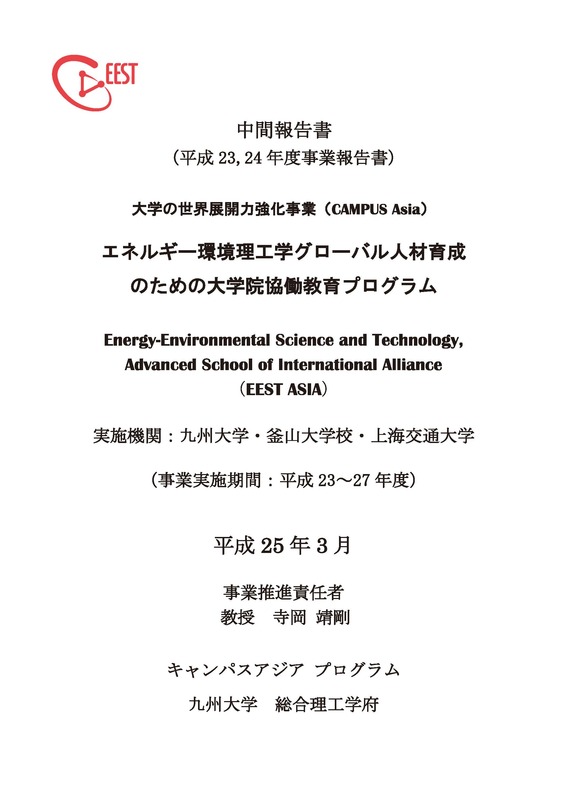 Campus Asia Pamphlet is a pamphlet of CAMPUS Asia EEST published by Interdisciplinary Graduate School of Engineering Science, Kyushu University. 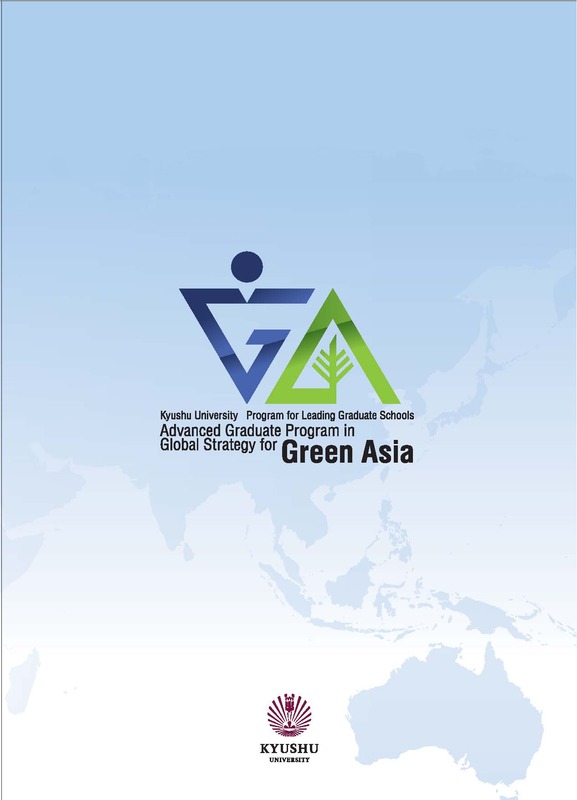 Kyushu University Advanced Graduate Program in Global Strategy for Green Asia Newsletter is a newsletter published by Green Asia Education Center, Kyushu University. 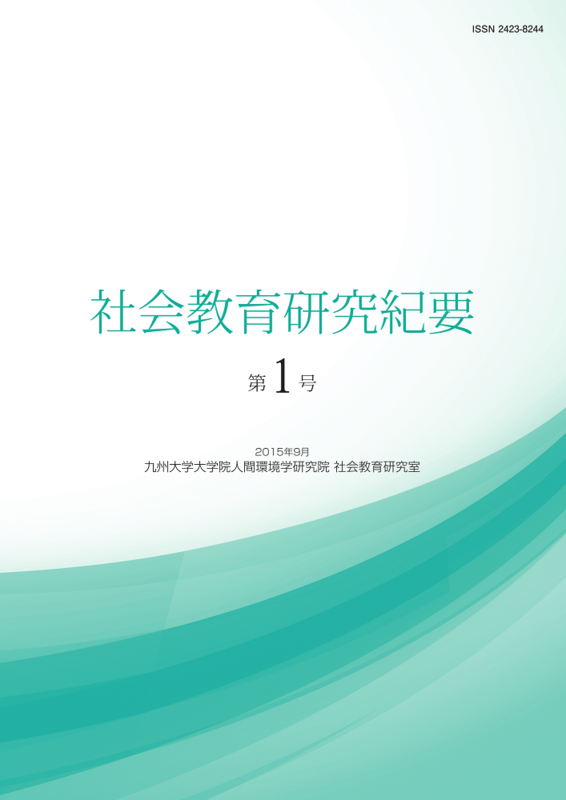 Campus Asia Report is a report of Campus Asia EEST published by Interdisciplinary Graduate School of Engineering Science, Kyusuh University. 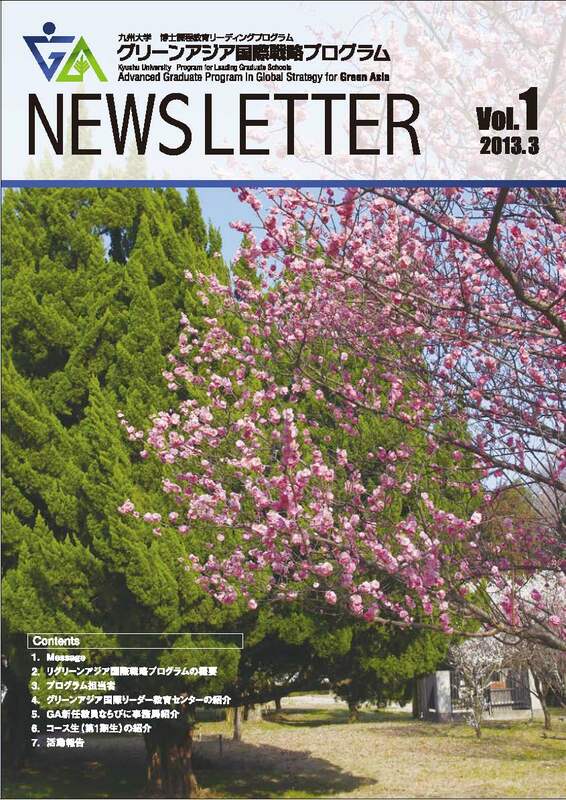 Campus Asia News is a newsletter published by CAMPUS Asia Office, Kyushu University. 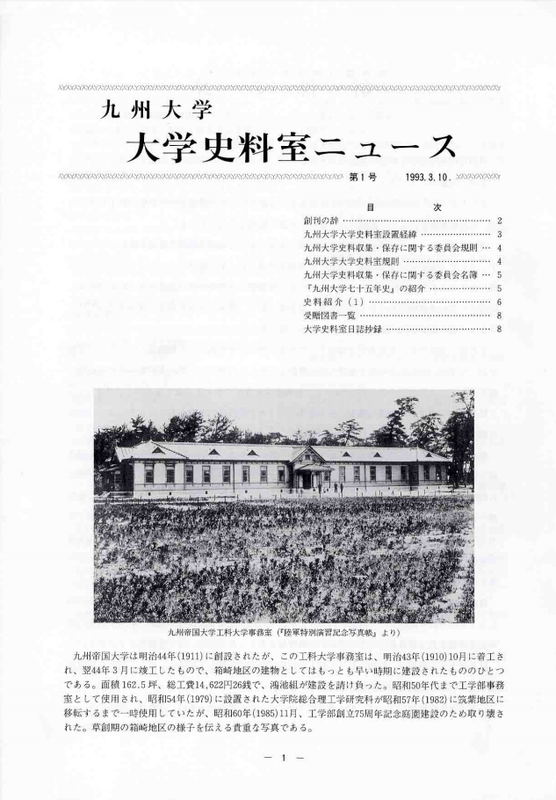 This is a Kyushu University Medical Library's news letter first launched in 1981. 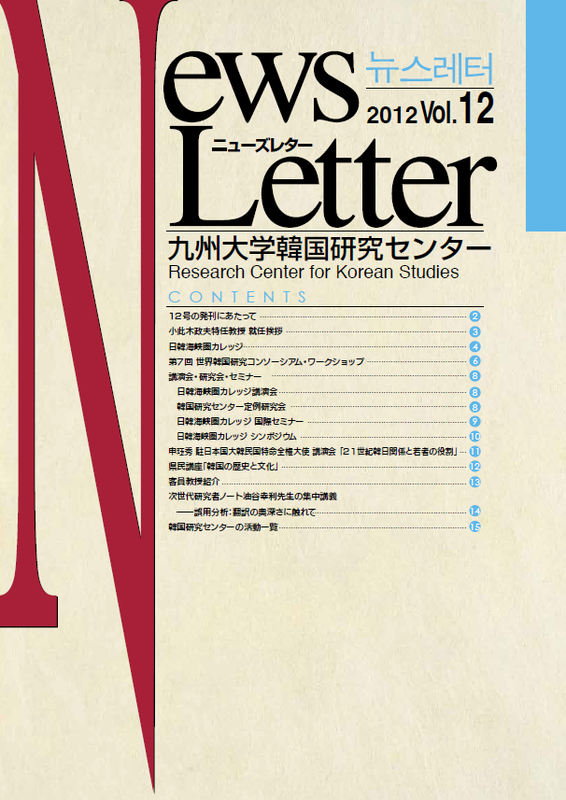 Research Center for Korean Studies News Letter is published by Research Center for Korean Studies, Kyushu University. 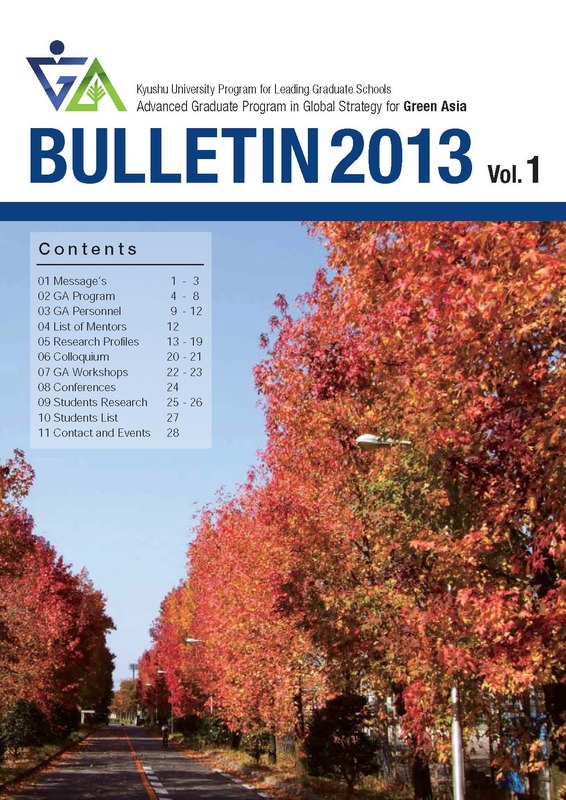 Overview of Campus Asia Project in Kyushu University is a material published by CAMPUS Asia Office, Kyushu University. 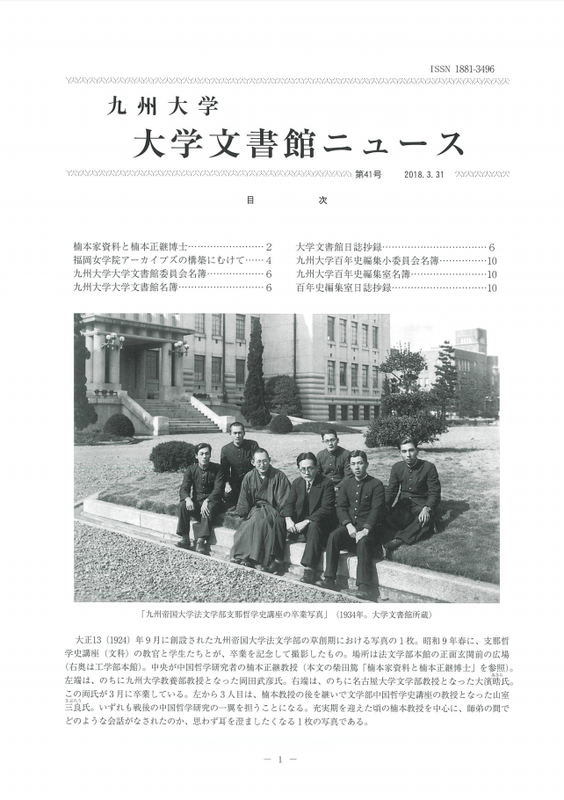 The Annual Report, Research Center for Korean Studies is published by Research Center for Korean Studies, Kyushu University. 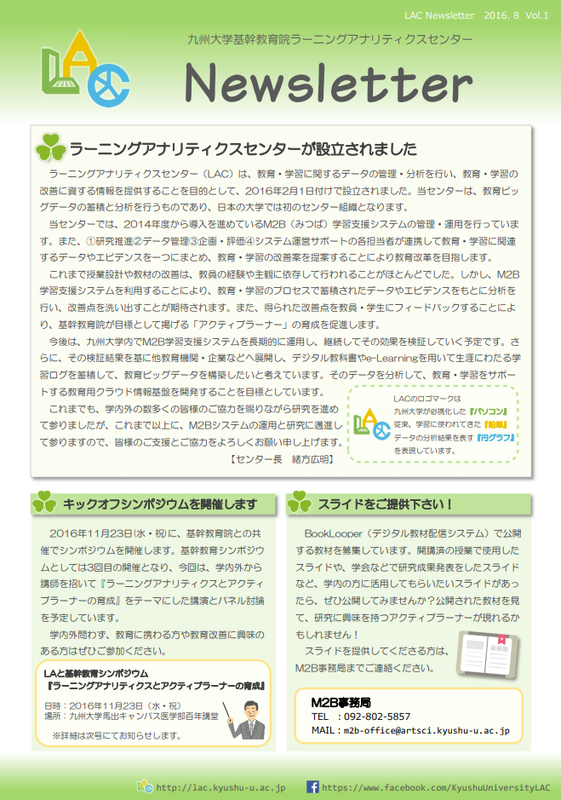 LAC Newsletter is published by Learning Analytics Center, Faculty of Arts and Science, Kyushu University. 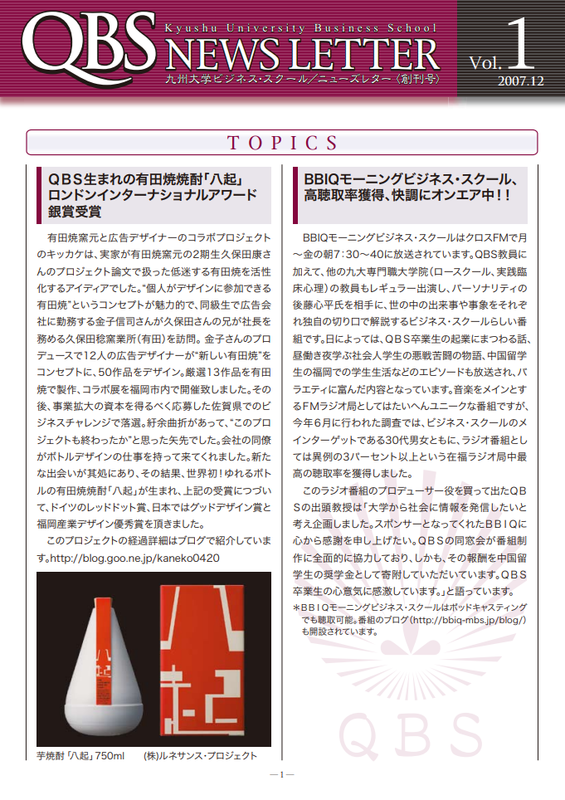 QBS News Letter is published by Kyushu University Business School. 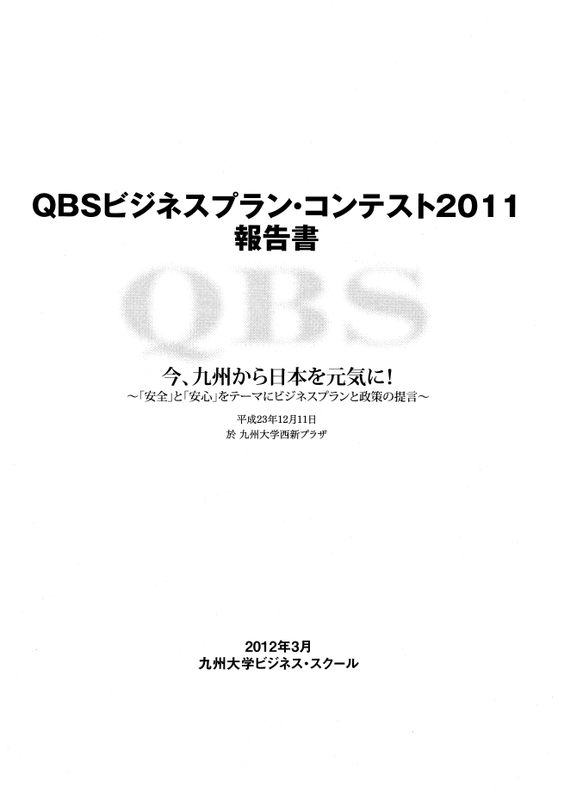 QBSビジネスプラン・コンテスト報告書 is published by Graduate School of Economics, Kyushu University. 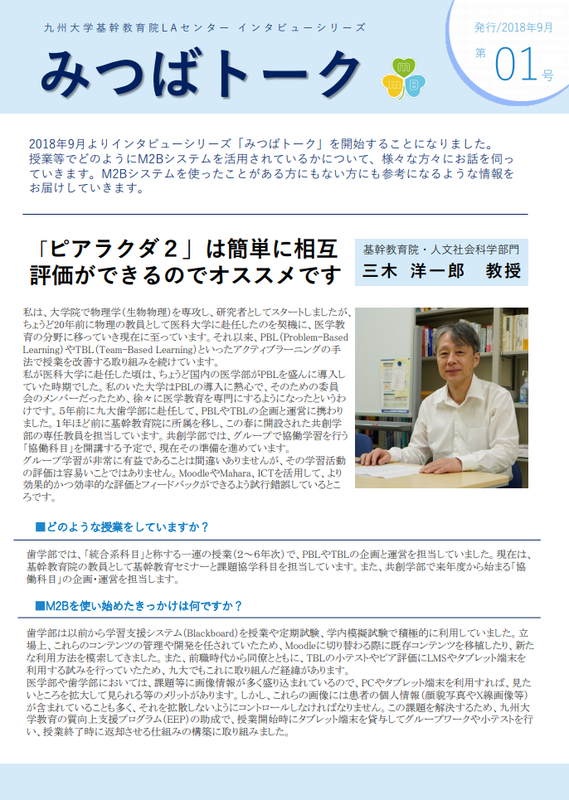 M2B Talk is published by Learning Analytics Center, Faculty of Arts and Science, Kyushu University. 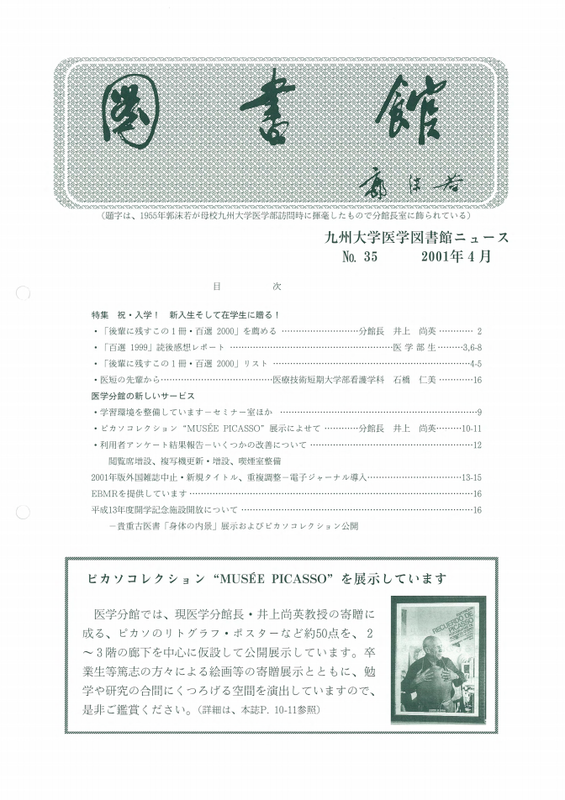 The Bulletin of the Kyushu Anthropological Association was lunched in 1973 as a bulletin of the Kyushu Anthropological Association.